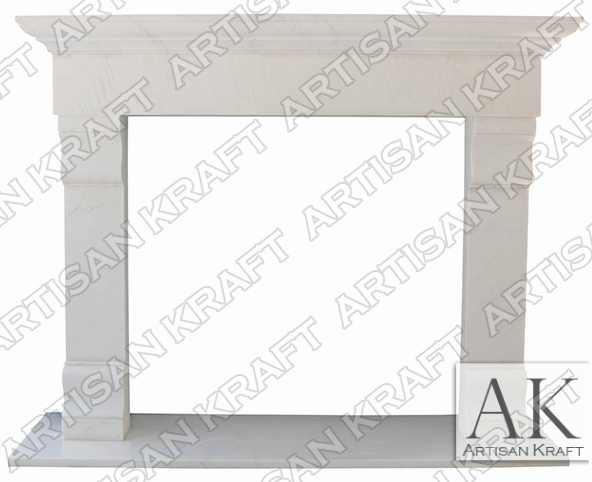 The Winnetka model is on sale in a contemporary mantel design carved from Statuary White Marble. STOCK dimensions: 70″W x 54″H x 10″D; Opening: 45″W x 42″H; Hearth: 70″W x 18″D x 1.25″H. Available for immediate delivery.